One reason that Victoria University Student's Association is helping to organise a talk in Wellington this Saturday, by three Marxist activists, may be its President, Nick Kelly. By all accounts, a very likable chap, Nick is unfortunately also a bit of a Marxist-Leninist. Nick joined the Labour Party as a 14 year old, in 1997 and was an active volunteer for MP, Paul Swain. 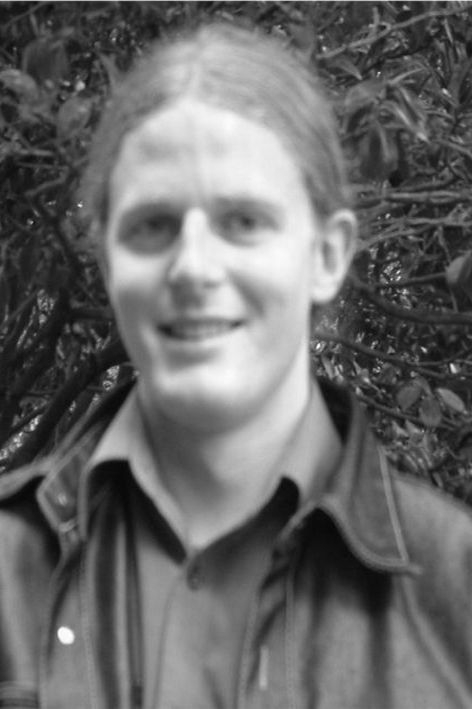 After the 1999 election, Kelly became the Rimutaka LEC Chairman at the grand old age of 17. In 2001 however, Nick got well offside with Labour over its "globalisation" policies. Nick Kelly says he became a revolutionary socialist in 2002, but during 2001 he did have some ties to Radical Society, the campus Maoist group. He penned an article for the July 2001 "Radsoc Digest" on a contentious Labour Party meeting in the Hutt Valley. In December 2003, Kelly wrote an article for the Workers Party's "Spark" magazine on his protest at the Labour Party conference. He bemoaned his expulsion from Labour and wrote of his membership of the radical UNITE union. In 2004, Nick kelly became VUWSA campaigns officer, charged with organising demonstrations against student fees and the like. By April 2004, Nick kelly was a confirmed member of the Anti Capitalist Alliance and the Maoist leaning Workers Party. He even stood for the Hutt mayoralty on the ACA ticket. In October 2005, Kelly spoke at "Marxism 2005" in Auckland on "Fighting Maori Oppression". Now Kelly is VUWSA President and apparently, still a bit of a socialist. Its therefore no surprise that VUWSA would be supporting a seminar including two of Kelly's Workers Party comrades. Incidentally, VUWSA Activities Officer, Joel Cosgrove has also written for the Workers Party journal, "The Spark". Is this the guy who claims to represent every single student at Vic uni, including Act and National voting students? And isn't it funny that guys like Nick Kelly complain about tuition fees but you never hear them complaining about student association fees. I'll confirm the fact that Nick Kelly is indeed a nice chap. You know Byron, i think there's hope for you and Nick. Wouldn't mind betting you both find your way to the "light side of The Force" someday. Nick is a nice guy, a very nice decent guy. And sufi, the VUWSA election has a turnout of around 5-10% each year. if people don't vote, and quality candidates don't stand, then who knows what may get in? if you want to change anything, then get involved (if you are a VUW student that is). That's the argument usually touted about student associations, but the real answer is to make it voluntary to join. That way people can opt out of joining an organisation that they don't feel is responsive to their views. Alternatively if a voluntary association wants to keeps its members it would have to start listening to them a lot more than they do now. There is no reason for the existence of the "you're stuck with us so make the best of it" line. anonymous - Nick might be a nice guy but that's not the point. The problem is that every student is forced to join and pay money to VUWSA and then Nick claims to speak on behalf of all students. this is totally unrealistic. Student associations are supposed to represent their members. If a student doesn't want to join or be represented, he should just be able to choose not to join. He shouldn't have to "get involved" to change a system which is designed to lock in compulsory membership. Outside tertiary institutions if you don't like an organisation you don't join it in the first place. You're not forced to join it and then told to "get involved" and turn it into the type of organisation you'd be happy to join. This is a key element of freedom of association. It's fine if Nick wants to run his own Marxist group but people should have a choice about whether or not they want to be associated with his ideas and pay for him to promote them. CCQ 8 Is There a Place For Unions?